My apartment has a “supplement graveyard” of things that didn’t work and things I stopped using because my doctor wanted me to try something different. Anyone else? If I only walk on concrete for the rest of my life, I’ll be happy. Ticks don’t fly — instead they hang out on blades of grass with their legs outstretched, waiting to attach themselves to the next unlucky passerby. Make sure you use your repellent of choice on your shoes, because ticks like to crawl onto the feet and then wander up your body until they find an appetizing spot to bite. Lovely, right? 😱 You can find information about the proper way to remove a tick here. 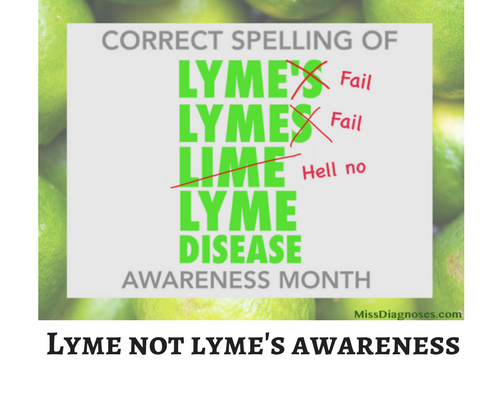 If you’ve been bitten, you can send the tick for testing — Lyme Warrior has a list of labs. 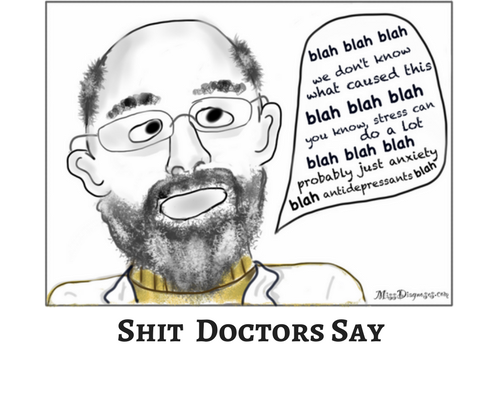 Wishing everyone a low-symptoms day and a good rest of the month. Hi Vicki. I hope your neck gets better soon. Healing vibes to ya. I was just reminding hubby yesterday about the importance of longer boots. In Canada ticks tend to stay in the bush so people report them after hikes Buti do wonder if that’s because no one checks after walking on the lawn? But we also have great bug pants from The Original Bug shirt Canadian company. You can’t get bitten by mosquitoes and black flies due to how tightly woven it’s made. I wouldn’t feel secure not having those around here. We still inspect for ticks when we come back. But thanks to your reminder I’ll also remember to do it right at the entrance of the door. You take care my dear. With all the stuff I’ve been going through lately, I needed the humor. Thank you for this! For me, the highlight was the “controversial”. I swear, that’s what makes my life with this incredibly hard. People understand when you say you have cancer. 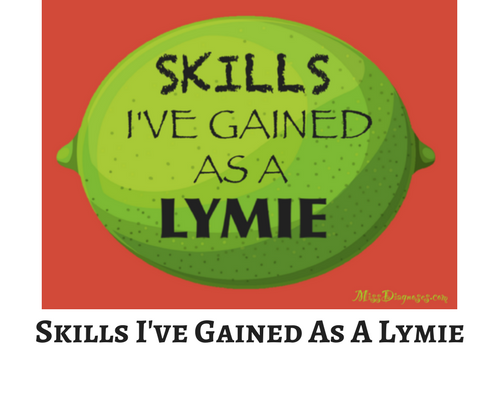 But when you say you have Lyme Disease? Not so much.